Julianna Moore’s rendition of the classic country hit “Crazy” by Patsy Cline helped her clinch the win at the 27th annual GX94 Star Search competition. The 18-year-old Brandon University music student will record two songs as part of her prize, which will receive airplay on the Yorkton, Sask., radio station GX94. As champion, Moore will also perform at various events throughout the year. “This is something I’ve wanted my entire life,” Moore said. The Yorkton radio station’s annual contest began in early May with a total of 32 competitors, hailing from across Manitoba and Saskatchewan. 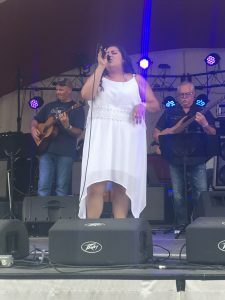 Following three preliminaries and the semifinals, the top eight performers took the stage at the Yorkton Summer Fair on July 8. Moore’s other selections in the competition included “Coming Home” from the movie “Country Strong,” and “In The Arms of an Angel” by Sarah McLachlan. As the top performer, Moore was presented with a Fender acoustic guitar, as well as a Montana Silversmiths belt buckle. GX94 promotions and marketing director Kayla Jelinski said the annual competition still brings in “tons of applications” after nearly three decades. “It’s been something that’s held its success, which is amazing over the 27 years,” Jelinski said. Moore’s first gig as Star Search champion takes place on July 27 at the Northwest Round Up in Swan River. Moore was born in Brandon, but grew up in St. Lazare from the age of eight. She says her passion for singing began at a very young age, and she hopes to become a music teacher. The young musician first began performing in restaurants when she was about 15 years old. She now can be seen at various Brandon venues, such as Prairie Firehouse and Lady of the Lake. “Whatever gigs I can get, I just love doing it,” she said. 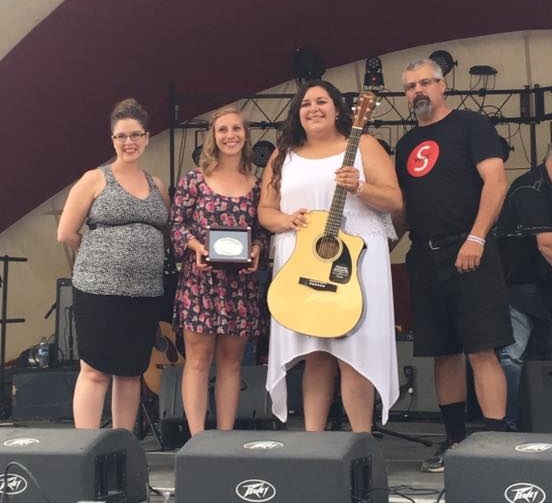 Moore joins the long list of GX94 Star Search champions, which includes Jess Moskaluke (2007), Samara Yung (2005), Kelsey Fitch (2008) and Teagan Littlechief (2002), to name a few.